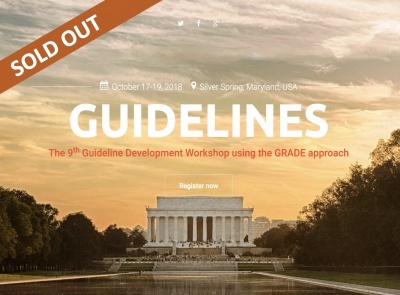 The GRADE Guideline Workshop in Silver Spring, MD, October 17 to 19, 2018 is now sold out. You will find program and info here. 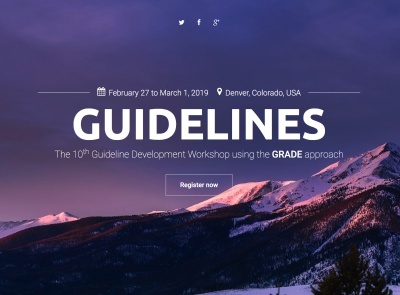 The GRADE Guideline Workshop in Denver, Colorado, February 27 to March 1, 2019 will open for registration shortly.